Savage Smyth is Chicago's creative event venue, built by event professionals. Thoughtfully renovated, Savage Smyth offers 16,000 square feet of customizable, open space with ample natural light, modern elements and artisan detailing. 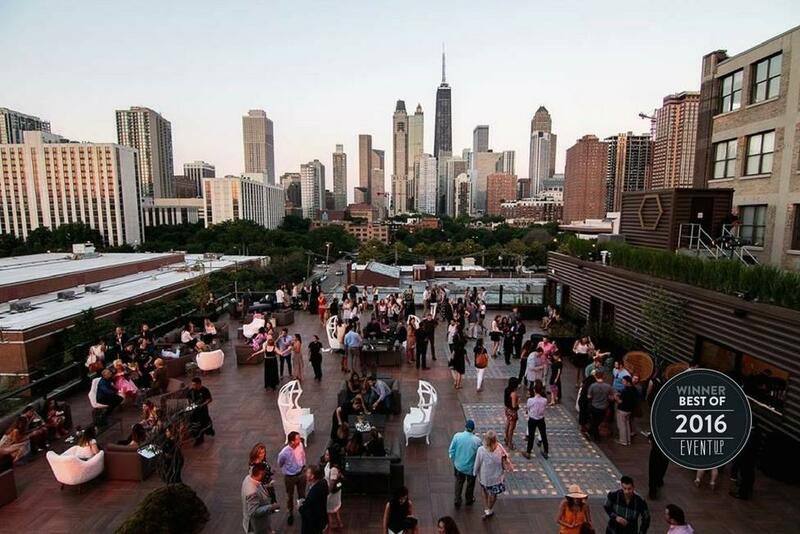 Encompassing two floors, the highlight of the venue is the open plan rooftop, with stunning views of the Chicago skyline. Savage Smyth offers both a main lobby entrance with direct access to the venue by passenger elevator, in addition to a freight elevator entry experience via finished alleyway. 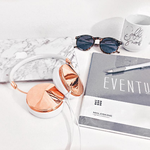 You can book the venue through EVENTup by clicking here. Hotel on Rivington has multiple amazing event spaces within their space. 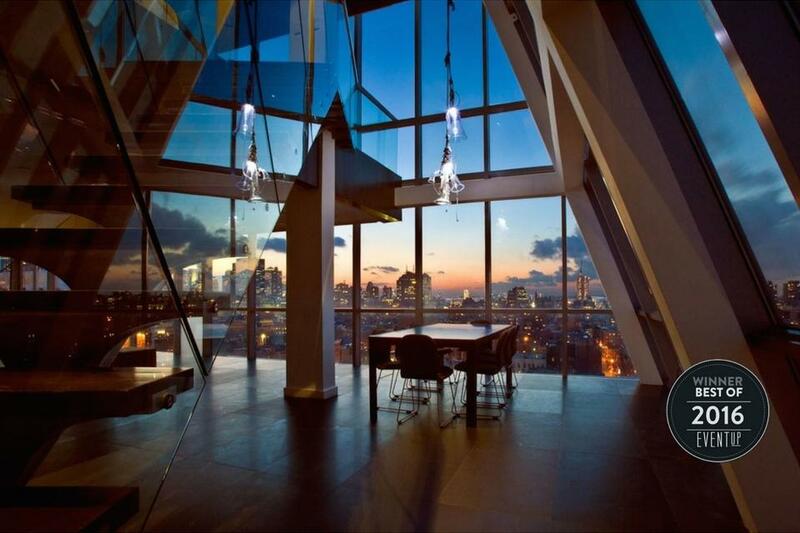 First up, the penthouse. With a 1,000 square-foot roof deck & 2,000 feet of indoor space enclosed by floor to ceiling windows exposing three magnificent views of Manhattan, the penthouse is an ideal space for weddings, cocktail receptions, private dinner parties, photo shoots and other unforgettable occasions. Next, Café Medi. Café Medi brings the fresh flavors of the Mediterranean coast to the Lower East Side of New York City. From the vibrant outdoor patio looking out onto Rivington Street, to the sky-lit atrium and Spanish tiles of the main dining room, Café Medi is a fresh and welcome respite from the New York City hustle. Last but not least, JIA Lounge. JIA is a 1920s Asian-inspired lounge nestled behind a graffiti-tagged red door in the heart of the Lower East Side. The intimate space boasts transcendent decor, refined cocktails and a state-of-the-art sound system, allowing you to dance the night away. Like what you hear? 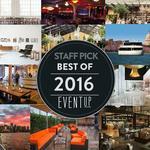 You can rent Hotel on Rivington through EVENTup by clicking here. Galvanize hosts dozens of events each week - meetups to hackathons and everything in between. Their beautiful Downtown SoMa campus lends itself to unique, inspiring and high-end public and private programming from intimate gatherings to full-scale conventions. You can book this venue through EVENTup by clicking here. Fathom Gallery is available to rent out through EVENTup, just click here. Board Thompson Island’s private ferry and you’ll be transported to a natural paradise nestled in the Boston Harbor. Located just one mile from downtown Boston, Thompson Island offers the exclusivity of a private resort with the accessibility of an urban conference center. From destination weddings to corporate clambakes, family reunions to business retreats and conferences, you’ll host an event unlike any other among rolling hills, sunset beaches, historic accommodations, and seaside vistas. And your guests will delight knowing that all proceeds support Thompson Island Outward Bound Education Center’s youth programming and its mission to improve the lives of Boston’s urban youth. You can rent the venue through EVENTup by clicking here. SKYstudio provides a panoramic view of the City of Angels from the 30th floor of the AT&T Center. With 8,000 square feet of event space housed within 27-feet tall windows, and exclusive onsite catering, this is an ideal location for shoots, events and weddings alike. Perched auspiciously on the 30th floor of the AT&T Center, in downtown Los Angeles, SKYstudio provides clients a panoramic view of the City of Angels. This daylight studio and event location comes equipped with 8,000 feet of creative space and is housed within glass windows, scaling 27 feet tall; plenty of room for the most challenging of visions to be exacted. You can rent SKYstudio through EVENTup by clicking here. IWith strong influences from traditional and local ingredients, Byblos represents a marriage of Eastern Mediterranean cuisine. Using time-honored classic cooking techniques and modern methods, the menu is a true coastal and cultural mosaic, served family style in a convivial atmosphere. You can rent this venue through EVENTup by clicking here. You can rent The Estate on EVENTup by clicking here. You can rent Batanga through EVENTup by clicking here. At Pike St. Supper Club, events are not just hosted -they are curated. Creativity, fun, and good taste meet a warm intimate space that is both vintage and hip. Stylish event design, sassy drinks and food fit for celebration, make Supper Club the spot your guests will want to be. At the epicenter of Capitol Hill, this 2000 sq. ft 3rd floor loft originally served as an auto body shop in the 1920's as part of Pike/Pine's Auto Row. Many of space's original features including a car sized sliding bar door, bootleg era casings and casters and a ceiling adorned with hardware for pulling out Model T engines. You can rent this spot through EVENTup by clicking here.